"As a company, Honda seems to be losing the plot in India with confused offerings which don't stand out in any aspect." This is a comment I recently read somewhere that got me thinking about Honda. It has been doing its bit and putting out cars, which may not be the best in the segment but aren't necessarily bad. But do they stand out of the crowd? 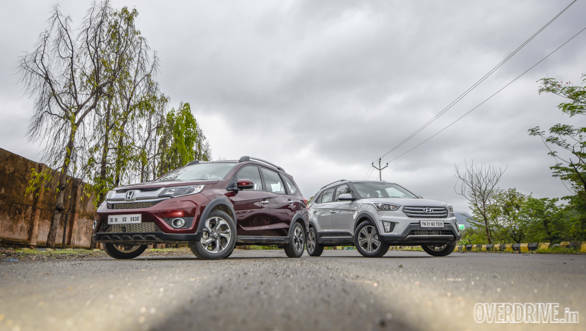 To find out, we took Honda's newest car, the BR-V, and put it up against a car that has been a favourite in India  the Hyundai Creta. 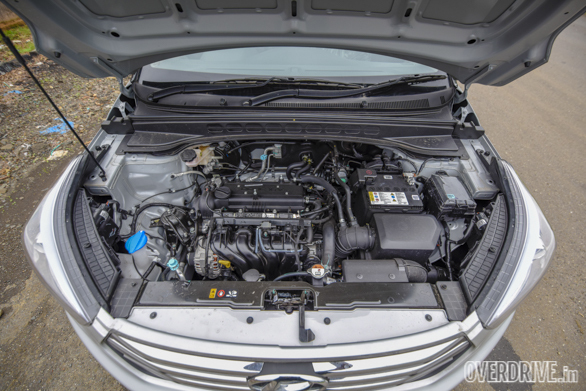 And already, there are two things that stand out about the BR-V  it seats seven, instead of five, and it is offered with a CVT unlike the Creta's torque converter. But is that enough to dethrone the current king of the segment? Like I said in the BR-V's road test review, it has a typically Japanese design language that people will either love or hate. To me, the Honda BR-V looks quite interesting  and interesting is good. Its strong character lines and body cladding add to the presence while those quirky looking 16-inch wheels and the tail light design are something you don't see too often. However, the BR-V's design might not sit too well with those who want a typical SUV look. The BR-V's side and rear profiles have a more MPV-like design, thanks to the long rear overhang. The BR-V is based on a heavily modified Mobilio body, and that is quite obvious from its design. Head on, however, the BR-V looks quite butch, thanks to its CR-V inspired face. 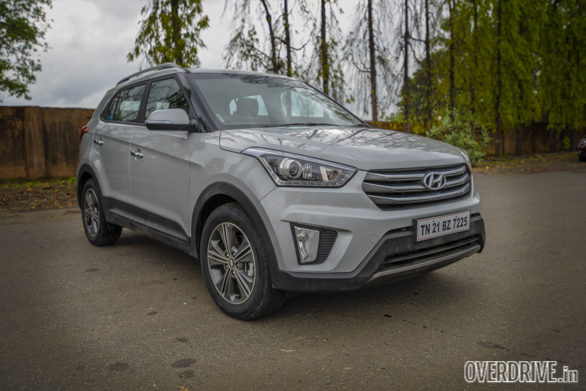 The Hyundai Creta on the other hand has a very European design that will appeal to a larger audience. It also looks more like an SUV, thanks to its broad face, shorter overhangs and muscular bulges. 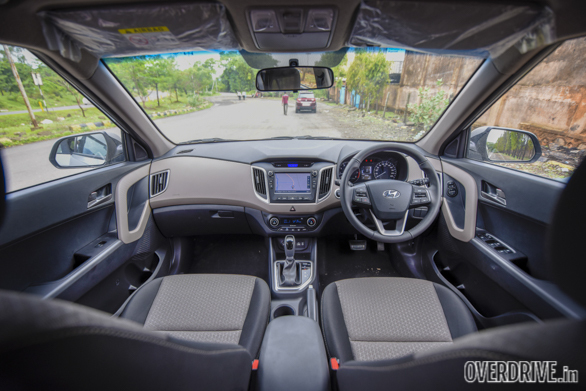 Although the Creta has a simpler design, it still manages to look a lot more premium than the BR-V, and this aspect is carried forward to the interior as well. 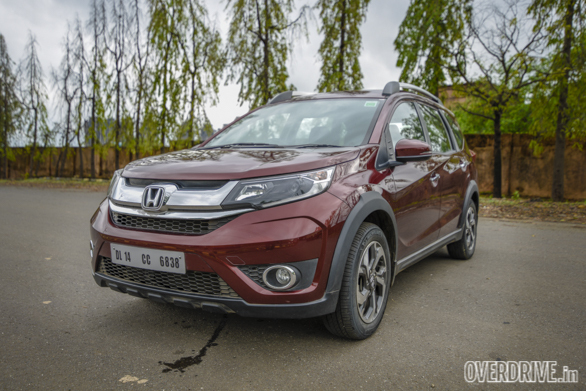 While the Creta feels plush and well specced, the BR-V simply looks too bland. 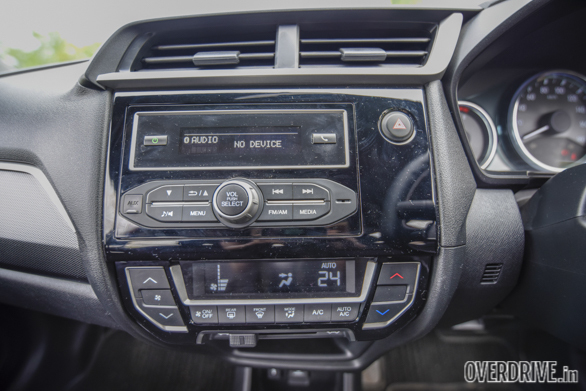 If I were to describe the BR-V's interior in one word, it would be 'functional'. A lot of its components, like the centre console and instrument cluster, are borrowed from the new Amaze. That's a bit disappointing considering the BR-V would have fit in a lot better into this segment if Honda had just taken the more premium centre console from the Jazz or City. That said, the BR-V's dash layout is still neat while the plastics feel pretty durable. In terms of space, the BR-V comes out on top. The seats are far more accommodating, and the second row can comfortably seat three passengers. 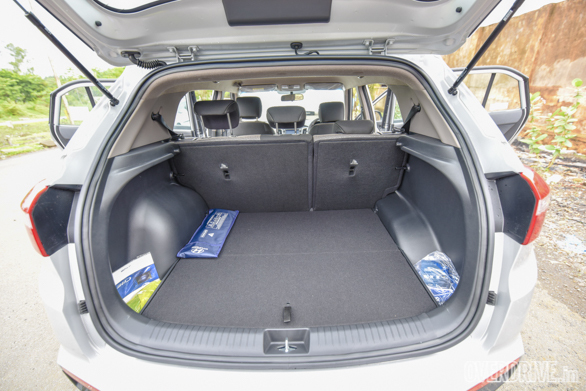 In the Creta, however, three people in the rear seat would be a bit too crammed. 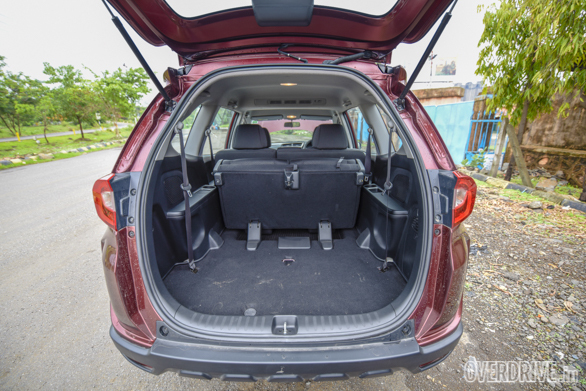 Plus, the BR-V has two extra seats, which have a decent amount of knee room, proper seatbelts and bottle holders. However, the seats are placed a bit low, which means long journeys for adults will be uncomfortable because of how high up their knees will be. With these seats folded and tumbled away, the BR-V's boot is definitely larger than the Creta's and has a conveniently low loading lip. On paper, the Hyundai Creta runs the more powerful engine here  a 1.6-litre motor that puts out 123PS and 151Nm. 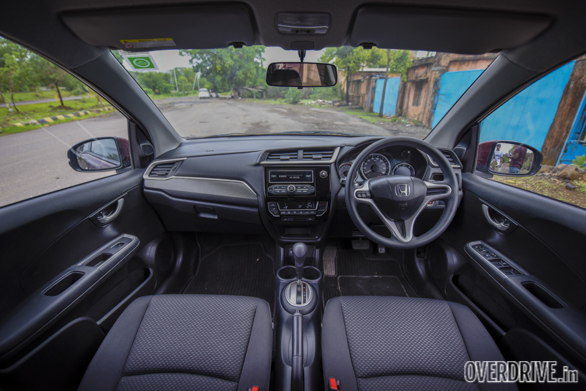 The BR-V meanwhile features the same 1.5-litre i-VTEC engine seen in the Honda City, producing 119PS of power and 145Nm of torque. However, it's the BR-V that hits the ton quicker at an impressive 11.2 seconds under wet conditions! 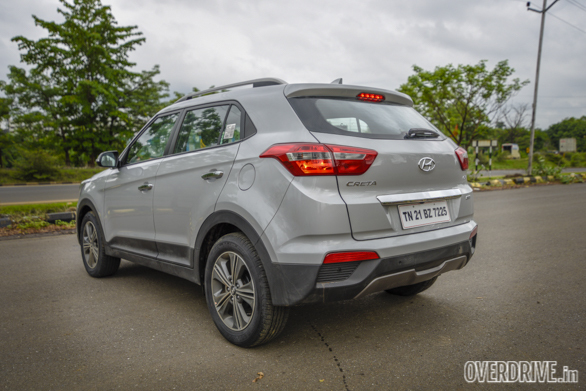 The Hyundai Creta on the other hand managed 0-100kmph in 12.6 seconds. Although in terms of refinement, it's Hyundai's petrol engine that takes the cake. It is so refined that it surprisingly makes Honda's motor feel rather outdated. Past 4,500rpm, the BR-V can get annoyingly loud, and the CVT's rubber band effect certainly doesn't help its case. However, in the city, where your revs are mostly low, the engine is pretty smooth and refined. The CVT too works really well in city conditions, is quite responsive and makes power delivery nice and linear. So linear, in fact, that when you step on the gas, you won't realise how quickly you're picking up speed until you look at the speedometer. 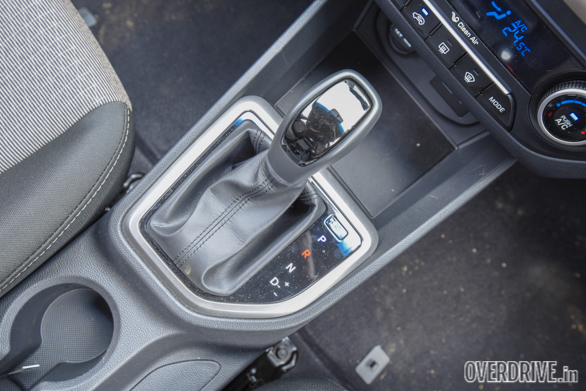 The BR-V's CVT also gets a Sport mode and seven pre-programmed shift points, which are activated by the paddle shifters. On Sport mode, the CVT is more responsive but holds the engine at higher revs, which can get a bit annoying. The paddle shifters on the other hand work great, especially for overtaking and for engine braking. In fact, there is absolutely no engine braking otherwise as the revs drop to around 1,500rpm even at 70kmph, as soon as you step off of the throttle. 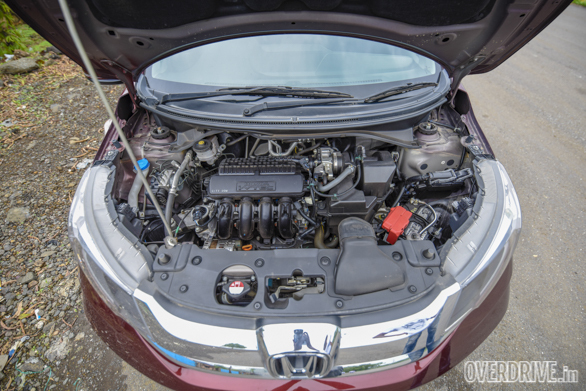 The BR-V's CVT also proves to be the more efficient option here. It manages a decent 11.85kmpl in the city and a rather high 21.16kmpl on the highway. 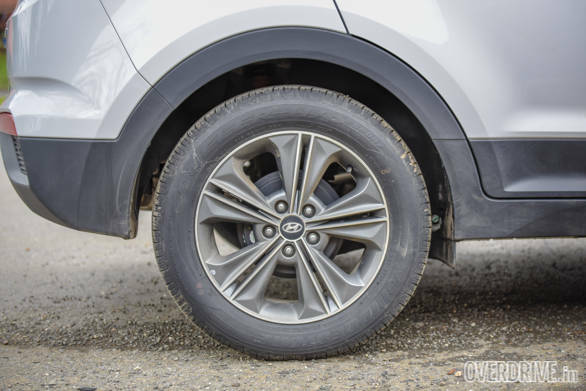 The torque converter in the petrol Creta, however, makes this 1.6-litre engine quite thirsty. It gave us a disappointing 8.88kmpl and 13.75kmpl in the city and highway. 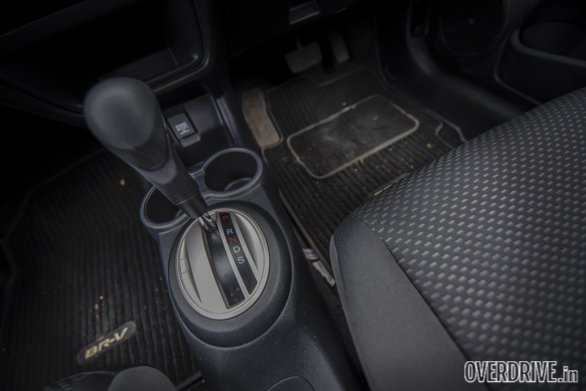 Efficiency aside, the Creta's transmission works rather well. It offers really smooth gearshifts and is quite a boon in the city. However, while upshifts are quick and immediate, you will notice some lag while downshifting. Something I missed after driving the BR-V were the paddle shifters which made overtaking a lot more convenient and maybe a bit more fun too. 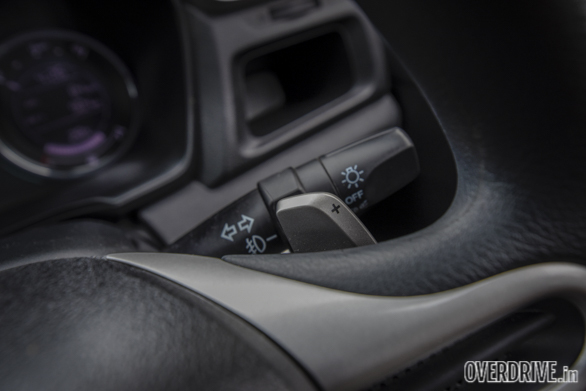 Although it's not really necessary, the Creta doesn't get a Sport mode for the transmission either. 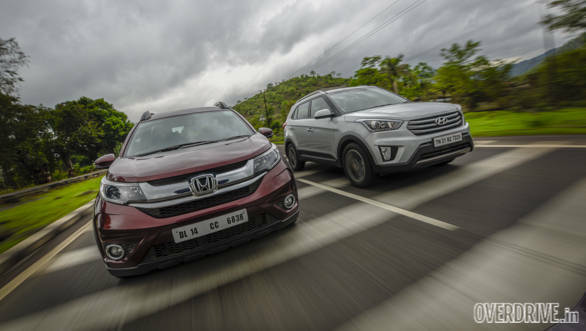 Ride quality on both the BR-V and Creta are almost at par, with the Creta at a bit of an advantage here. Both absorb all the ruts and potholes quite well, although the BR-V's suspension seems to be a bit louder. 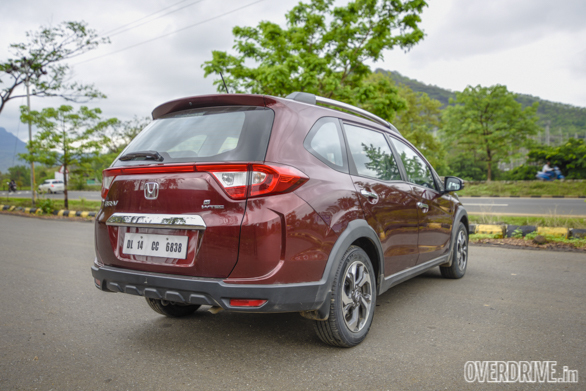 The BR-V also felt a little bumpier than the Creta over the undulations on the highway, but that should settle down when the car is loaded fully. While neither of them have a sportily set-up suspension, they do handle quite well with minimal body roll. However, the Honda does have better steering, which feels sufficiently weighted and offers better feedback. The Creta's steering on the other hand is a lot easier to use in the city but doesn't feel nice at higher speeds. 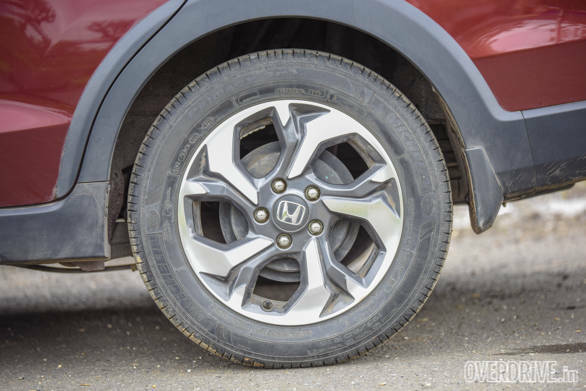 Also, the Creta's brakes are bit spongy in comparison with the BR-V's. Now I'm not saying they're bad, it's just that the BR-V's brakes are so good that the Creta doesn't feel as sharp. 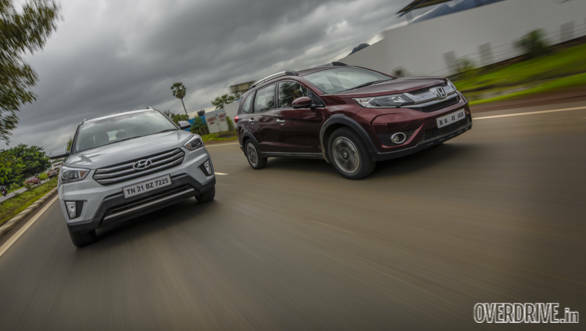 The BR-V manages to get from 100-0kmph in 2.9 seconds and 39 metres, while the Creta does so in 3.1 seconds and 40 metres. But it's the Creta that offers a typical SUV feel from behind the wheel, thanks to its higher seating position and a better view of the road. 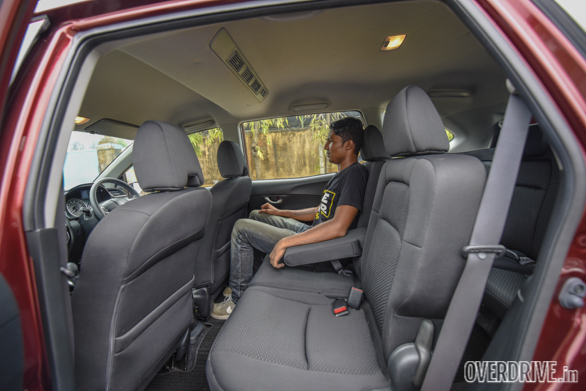 The BR-V on the other hand has a comfortable, albeit lower seating position, which feels more car-like. This is despite the fact that the BR-V is 36mm higher and has 20mm more ground clearance than the Creta. In terms of safety, both the BR-V CVT and the petrol Creta AT are similarly specced with two airbags and ABS with EBD as standard. 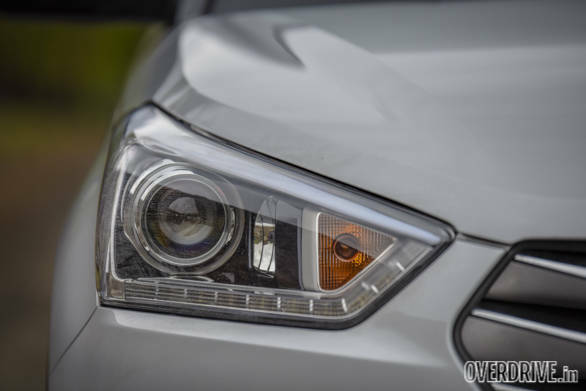 However, when it comes to features, the Creta is definitely better specced than the BR-V. It has a touchscreen infotainment system with navigation, cornering lamps, lane-changing indicators, a rear parking camera and follow-me-home headlights. Like I've said earlier, the BR-V has almost everything you'll need, but not everything you'll want. Instead of a touchscreen system, you get the simple music system from the Amaze which has Bluetooth, USB and Aux connectivity; you get the simple climate control set-up instead of the more premium unit from the Jazz and City. 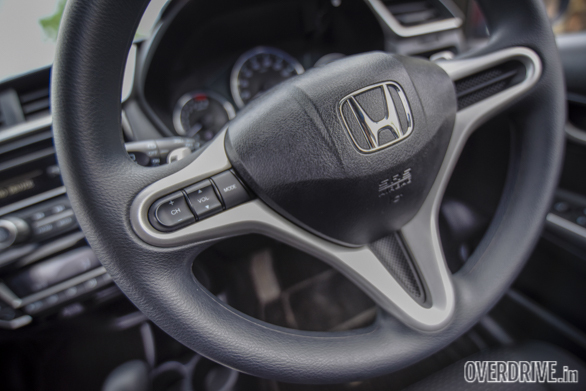 There are steering-mounted controls but no dedicated buttons for telephony because the steering wheel is from an older generation Honda City. 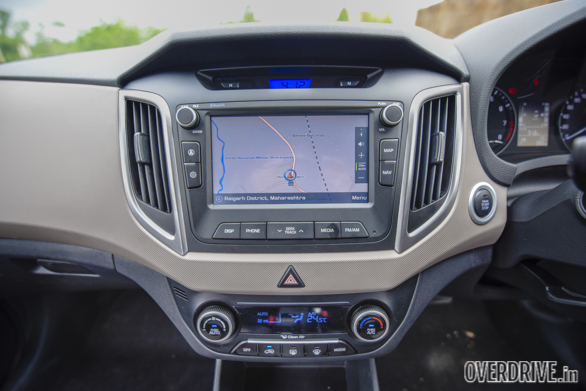 What is rather annoying is that the BR-V doesn't come factory fitted with parking sensors! It's a feature that even hatchbacks these days have. Considering that the BR-V is the longest car in this segment at 4.45m, parking sensors would have made it a lot more convenient in the city. Now, coming back to the initial question  has Honda done enough with the BR-V for it to stand out of the crowd? Well, the BR-V is certainly not like the other compact SUVs in the market. It has the benefits of both an SUV and MPV, which makes it rather unique in this segment. So yes, it does stand out of the crowd. Well, yes and no. The problem comes with what customers are looking for in a car in this segment. They essentially want a car that is as easy to drive around town as it is to cruise on the highway, and they want this without compromising on the typical SUV feel. Unfortunately, the BR-V isn't that car. The Hyundai Creta on the other hand ticks just the right boxes, feels more premium and fits perfectly into this segment. 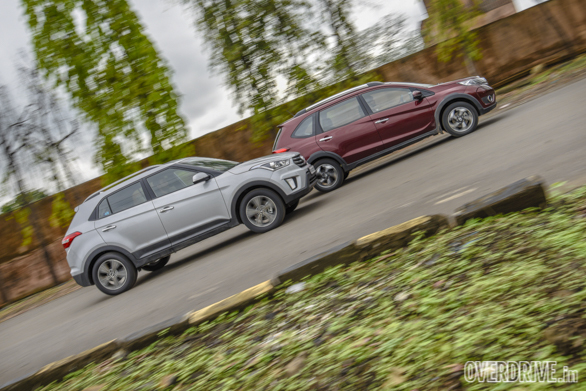 However, the petrol Creta automatic is around 1.3 lakh more expensive on road than the BR-V, and that will be a significant stretch on your budget. If you can afford that and don't need the extra seats, the Creta is still the best compact SUV in the market. The BR-V, although not the best in its segment, is still a very good alternative for those who are looking for a bigger and better MPV than the ones in the segment below.